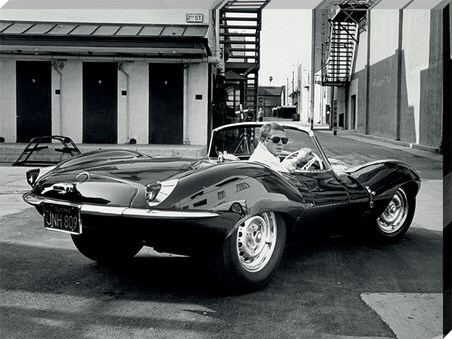 Add a piece of Hollywood history to any room with this amazing mono print image of legendary movie actor and motor car fanatic; Steve McQueen. 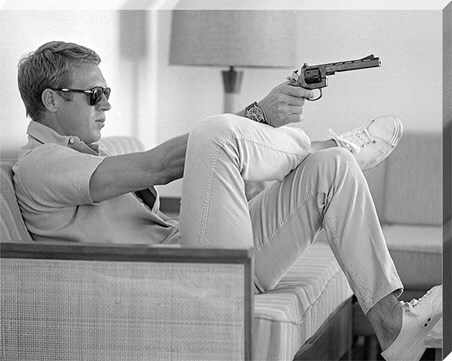 Photographed by Award winning photographer John Dominis, this Time Life image features the Hollywood legend as he stretches his arm out, with gun in hand and points at his target with a brooding expression on his face in his LA suite. 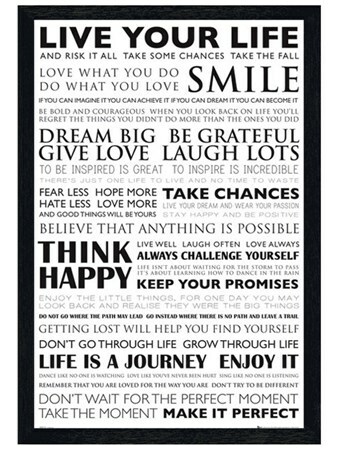 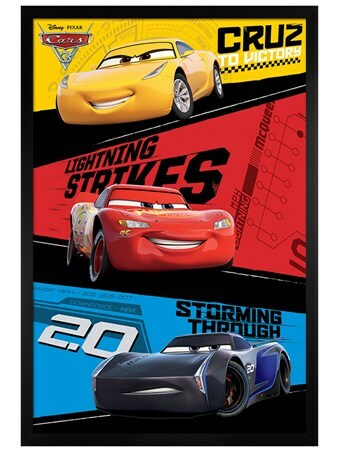 If you are a lover of classic movies and 60's icons, then this is the ideal canvas to give your home that 'Wow' factor. 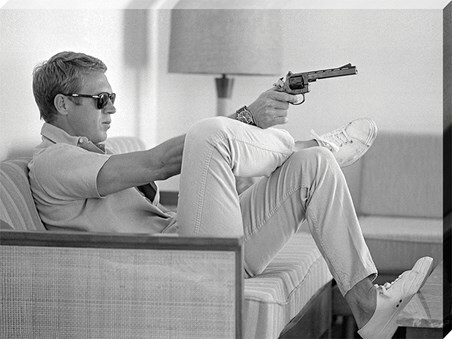 High quality, framed Steve McQueen Takes Aim, Time Life canvas print with a bespoke frame by our custom framing service.